Corrosion resistance and microstructure by optical microscopy of commercially available die-cast, friction stir-processed (without aluminum powder) and friction stir-processed (with aluminum powder) AZ91 magnesium (Mg) alloys (three conditions) were investigated. For corrosion study, salt spray and immersion tests in 5% NaCl solution were carried out. Corrosion behavior was analyzed by scanning electron microscopy for investigation of pits available after 48 h in specimens of all three conditions. This SEM investigation proved that AZ91 Mg alloy that is friction stir-processed with aluminum powder has the lowest pit size compared to the friction stir-processed AZ91 Mg alloy and commercially available die-cast AZ91 Mg alloy. This is because of more solubility of aluminum in α-phase and high fraction of β-phase (Mg17Al12) which improves corrosion resistance of friction stir-processed AZ91 Mg alloy with aluminum powder. 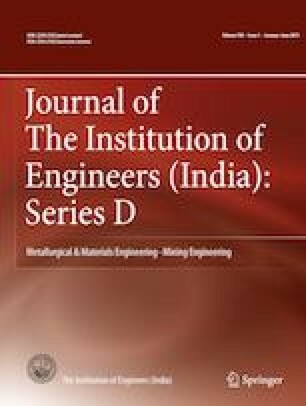 The authors gratefully acknowledge the support of Mechanical department, School of Technology Pandit Deendayal Petroleum University (PDPU), Gandhinagar, Gujarat, India, for the guidance and utilization of universal milling machine for friction stir processing.